While NAV has traditionally mostly been a domestic animal, it’s now getting pushed more and more cloudwards. A large number of partners and customers are considering Azure VMs as their platform of choice as it has many benefits over purchasing and running the whole show in your own basement. 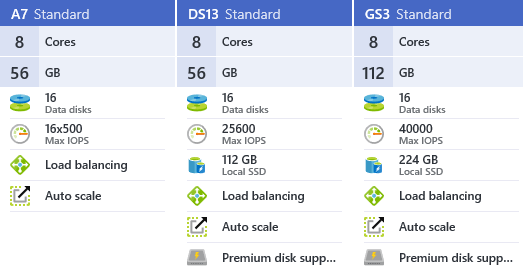 So, I have tested several Azure VM configurations to show what A, D, and G tiers bring to the show, and how much those numbers next to tier letters really mean. The only significant difference here is that DS13 and GS3 use premium disks, while A7 uses standard disks, however there is also some difference in hardware configurations. G tier has much better processors than D tier, which has better processors than A tier. And, there is an unexpected guest in this roundup: the DS13 machine with SQL Azure P11. 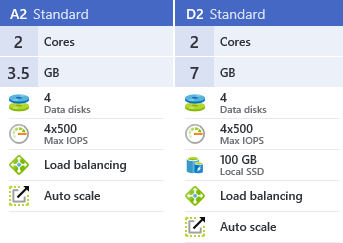 It’s an oversized and unbelievably expensive options, and the reason why I put it here is that it’s the only SQL Azure configuration that can remotely hope to compete with VM deployments of SQL. Yes, I have been a lazy blogger lately. With so many people blogging about NAV nowadays, it’s really difficult to come up with original content all the time. So, I decided to test performance of NAV under various configurations, including on-prem, Azure VM and SQL Azure, and share my findings with you. And while I am writing these lines, there are four machines sweating the crap out under some performance test code I recently wrote. This post is well overdue, I admit it. I have demonstrated so many times so far how to create an Azure VM instance running Microsoft Dynamics NAV through a PowerShell script running on your PC, and it’s just about time to share this script and the theory behind it with the world. Even though my blog queue has a lot of far more interesting todo entries waiting for their prime time, on my short flight to the Directions EMEA conference in Poznań, instead of dozing away or blank-staring through the window, I’ve decided to introduce the Microsoft.Dynamics.Nav.NavUserAccount.NavUserAccountHelper class, a part of the built-in .NET stack of Microsoft Dynamics NAV since the version 2013 R2. My friend, Eric, asked me to blog about it, so here it is, this post is for you, Eric.